Two thousand and eighteen was a challenging year for electronic music. After a spate of excellent releases in 2017, it was as if a lot of artists were pausing for breath. If we were cynical, we might suggest that could have been because Soft Cell sucked so much oxygen out of the scene with the hype and merch for their “final” show. In our support, we could point to the Last Pint in Sodom beer glasses, USB sticks, snow globes, remix albums, box sets, t-shirts, books, DVDs – a long list of products that must have kept Chinese factory workers at their tables long into the night. Who was ever going to compete against a marketing event on that scale? Against that argument, one could point to the actually very substantial collection of remixes and rarities released by one of the greatest bands ever to migrate from Leeds. Soft Cell had some great moments, and they unearthed and repackaged many of them for fans in the course of the year. You only live twice, Marc Almond once sang on a cover song, and he was right: once as an edgy cabaret act with a penchant for leather; and again as a vendor of knick-knacks in the O2. The fact is that Soft Cell’s songbook is a mighty but variable thing. It’s full of flaws, and there were mis-steps in their show, but they were always the girl who puts her lipstick on slightly askew. Their experience should be an inspiration for artists who head for Melodyne plug-ins and hire a dozen songwriters to work on a single track. Sometimes, grit is sexier than gloss. A set of covers by Lexxy from Norway, The Outsider EP shows off her unique ability to focus the essence and sound of electronic music. The title track is a Psyche song, and it is possibly chosen as a statement as well as an excellent alternative track. It is joined by a powerful version of Ultravox’s “Sleepwalk”; a cover of Rational Youth’s “I’ve Got a Sister in the Navy” (that first appeared on the Heresy compilation from Cold War Night Life, we don’t hesitate to say); and a version of Depeche Mode’s “Puppets” made with fellow Norwegians, Stephan Groth of Apoptygma Berzerk and Angst Pop. All of the covers have been recorded with sensitivity and affection for the originals, and the EP format allows for precision and economy of vision. There was a long gap between Familjen‘s previous album in 2012 and this year’s release. It had something to do with concern about the growth of mainstream fascism in Hässleholm, but in the interval Johan T Karlsson found a way to give voice to the stories of Syrian refugees and insurgent women. Hailed on its release as a politically informed album, Aftonbladet also positioned it somewhere on the spectrum between Happy Mondays and New Order. 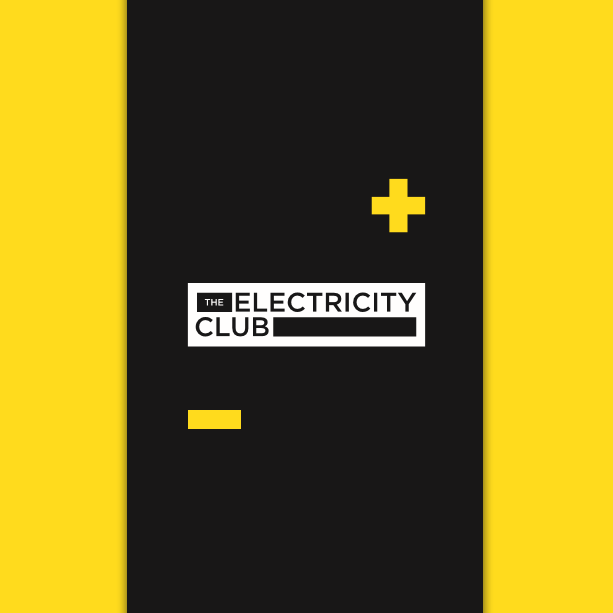 We didn’t get the Manchester connection, and we wouldn’t have gone so far from Skåne, which has its own tradition of electro. Suffice to say that we found it more Björk than Bez. There are, in this world, a lot of dicks who steal instruments from musicians. It’s happened to most artists at some point – gear left in vans can disappear with the vehicle, but even keyboards left on stage can vanish in the dark of a concert venue. It happened to Daniel Myer while he was trying to complete an Architect project, so he put out this compilation of rareties on Bandcamp to raise funds to do what insurance did not. 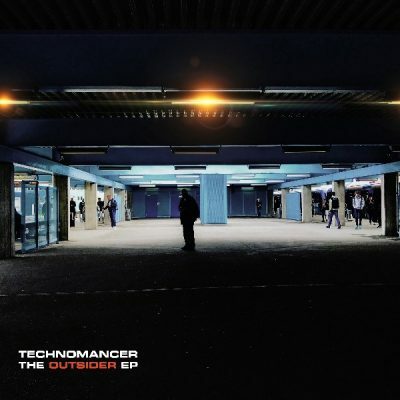 As a collection, it’s a strong set from the German producer. There are twenty live recordings, demo tracks, alternative versions and unreleased songs on offer, and there isn’t a weak moment between them. With any luck, the clowns who lifted his equipment will experience the karma wheel rolling over them, while those who purchased this material will get a new Architect album soon. 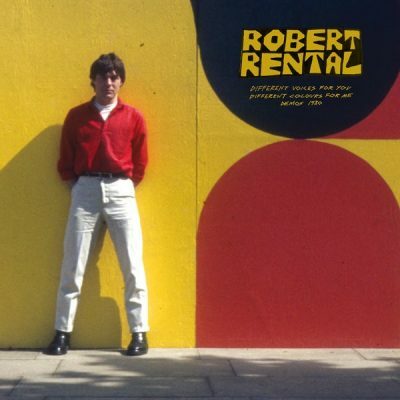 Robert Rental was one of those quiet souls who made big noises. When he toured with The Normal, at the end of the 1970s, he made such a racket that it was impossible to tell what he was shouting over the industrial maelstrom the two created. He also made a seminal record together with another Scot, Thomas Leer. Throbbing Gristle provided them with the basic equipment needed to record The Bridge, and they made an album divided into ambient and electro-industrial halves. In connection with a masterful exhibition curated by Simon Dell, some of Rental’s old tapes were recovered and shared on this album. It adds to the collection of fuzzy experimental material that Rental had himself passed around, and provides a link to the material that he released through Mute Records. We don’t have Rental with us any longer; but, thanks to the work of his family and fans, his musical legacy can still be appreciated. John Fryer’s Black Needle Noise project is the spiritual successor to This Mortal Coil, and each release reveals a little more of the DNA that spawned that legendary enterprise. Released on vinyl for the first time, via No Devotion Records, BNN is finally in its natural element. 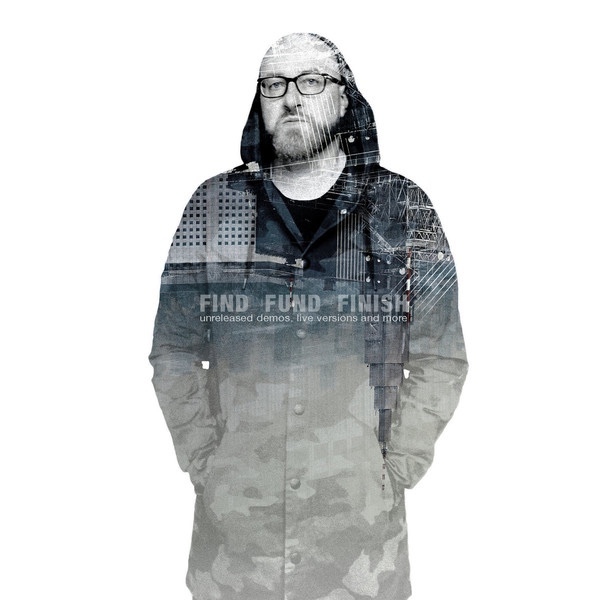 With three tracks on this release, including a collaboration with Bill Leeb from Front Line Assembly, there’s a nod to the singles that Fryer was heavily involved with in the 1980s. As the house engineer at Blackwing Studios in London, Fryer worked on many of the iconic releases from Mute and 4AD from the 1980s. This release proved that the touch he brought to those recordings is still alive in his LA studio set-up. Tomaga is an experimental project, but it yields excellent results. The duo of Valentina Magaletti and Tom Relleen came up with two albums in 2018, but this is the one we bought. It’s rich with rhythms and loops, percussive flourishes and reverb. Just the kind of thing that you can put on for a Sunday night with the lights down. 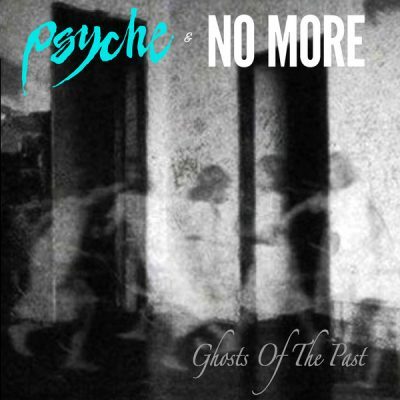 Psyche and No More are two of the most influential dark wave acts, and putting them together for a collaboration was a great idea. “Ghosts of the Past” came out in time for Halloween, and it makes it seem simple to make melodic poptronica. Darrin Huss has one of the best voices in the genre, and both bands know how to put together a solid slab of horror electronics. Tina Sanudakura’s Theremin wails and swirls around Huss’ lead vocal, calling down the spirits. It’s a nightmare only for commercial radio. 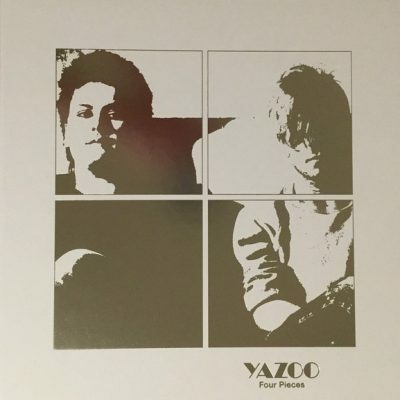 Yazoo broke up even before they recorded their second album. Vince Clarke and Alison Moyet paid separate visits to the studio, so that Clarke didn’t have to put up with Alf’s emotional states. The cover image, showing two dogs fighting in the cold, summed up the relationship as well as the title, You and Me Both. Things gradually thawed between the two, leading to the Reconnected tour in 2008. Since then, however, there has been only a brief appearance for the Mute Short Circuit event, a live album from the tour and some remixes on offer. The Four Pieces box Set (Three Pieces for those going down the CD route) doesn’t offer anything new for avid collectors, but it does refresh the vinyl and offer graphical treats. How does a reissue of thirty-five year old material push its way our year-end chart? By still sounding fresher and better than 99.99% of the material pushed on us by PRs in 2018. 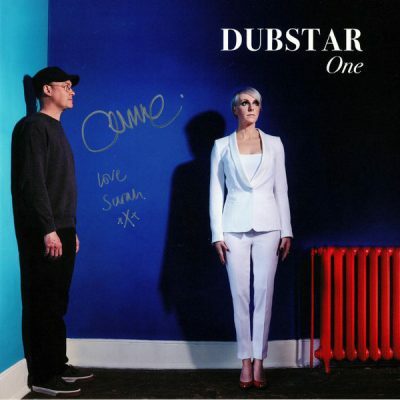 Dubstar‘s dreampop had an obvious home in the 1990s. It was as English as a cucumber sandwich eaten on a lay-by in the rain on a trip with your parents, but it was also subversive. They made pencil cases do things. Fast forward to 2018, and the band has broken up, got back together without a lot of unnecessary baggage, and only gone and made one of the best albums of the year. Everyone loves Sarah Blackwood’s voice, and it hasn’t lost any of its charm by clean living. Chris Wilkie’s guitar work has retained its psychedelic edge, even if he appears on the cover dressed as a Maoist factory worker circa 1964. The songs are great: still impressed with an edge and as refreshing as a tin in the park on a warm day. 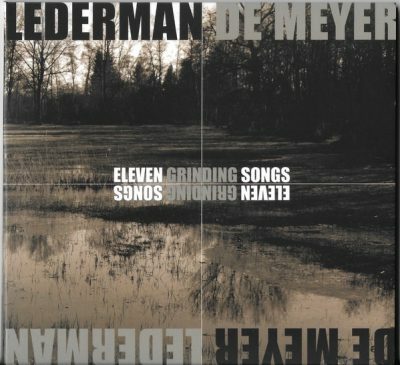 What started as a collaboration for a (still forthcoming) album of Fad Gadget songs led Jean-Marc Lederman (The Weathermen, Kid Montana) and Jean-Luc De Meyer (Front 242) to work together for a full album of Eleven Grinding Songs. Their cover of “Back to Nature” was blessed by Daniel Miller, and their version of Wire’s “20 Versions” was sensitive to the original, but it was “Atoms of Fury” that showed the real potential of this link-up. It came out with a set of remixes, but none were as good as the official version. Iceland’s best dance music export, Gus Gus, returned with an excellent album in 2018. 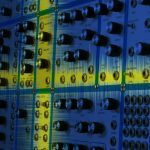 By now, the template of modular synths, effects units and dynamic vocals is easily recognisable, but they still haven’t exhausted its possibilities. 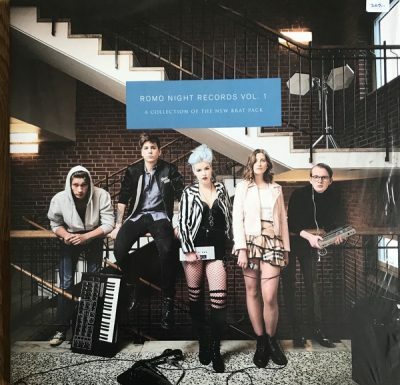 Sweden’s famous Romo Night might not be with us, but it lives on through Romo Records. This compilation brought together a diverse set of artists, including Hiltipop, Glas and Anymachine feat. Jeddy 3. It highlighted a collection of new and classic Swedish artists who need to be heard on vinyl. We hope for more from this team in 2019. Sweden has produced its shared of EBM bands over the years. There must be something in the Viking blood that draws them to 16-step sequencers and electronic drum pads. From that scene, the duo of Cryo has consistently made some of the most atmospheric and emotionally infused material. 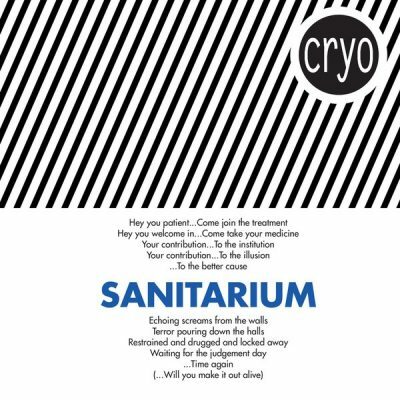 For more than a decade, going back to releases like Cryogenic and Mixed Emotions, Cryo has marched to the beat of its own drum (machine). The release of “Sanitarium,” built upon a scene from One Flew over the Cuckoo’s Nest, reinforces their position as the most original and human of the machine-operating artists on the cold side of the Baltic Sea. 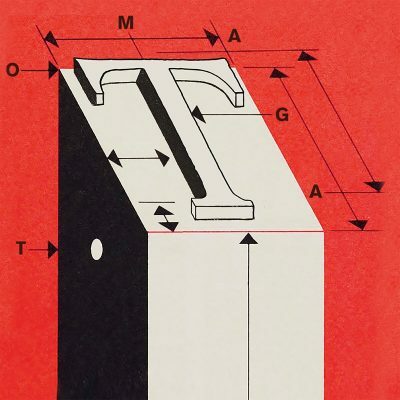 It has been more than thirty years since the Gristle ceased to throb, but Chris Carter continues to plow a unique furrow of experimental electronics. The creator of some of the most romantic electronic music of all time, Carter remains an industrial original. Famed for creating his own synthesizers from schematics printed in magazines, Carter now has modular synth manufacturers lining up to collaborate with him. He is also in constant demand as a remixer. The surprise, therefore, is that he has found the time to put together a new solo album at all. 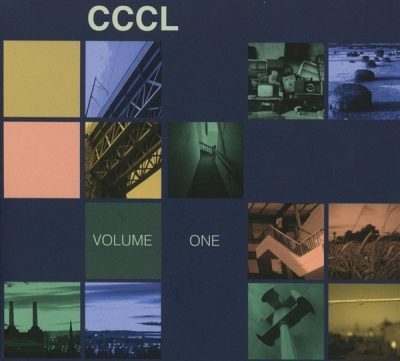 Although inspired by his take on the material produced by the BBC’s Radiophonic Workshop, CCCL is unmistakably in Carter’s own style. On a track like “Blissters,” one hears more European Rendezvous than Dr Who. Similarly, “Modularity” might be driven by Euro-rack gear, but the signature of the man twiddling the knobs is written across the piece. There is a new collection of Carter’s solo work coming from Mute. This is a timely addition to his catalogue. 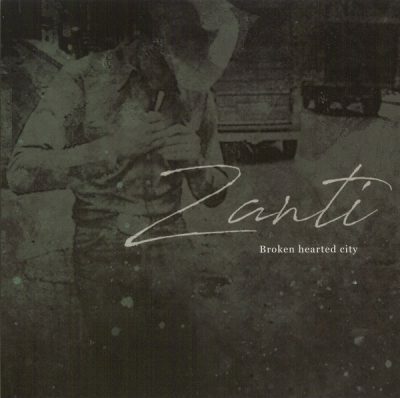 A surprise on its release, Zanti‘s first album is elegant and deep. Made by the duo of Anni Hogan and Simple Minds’ bass man, Derek Forbes, it more than made up for a year of half-hearted releases and Soundcloud flotsam elsewhere. Hogan has a history of collaborations that stretches from Marc Almond to Lydia Lunch. With Forbes, she has linked up with one of the great geniuses of rhythm, and it turns out that he has an astonishingly good voice. If 4AD still cared about the kind of music they are putting out, instead of finding the latest dubstep, this is an album that they would have killed to release. A track like “Will You Be Mine” is tailor-made for fans of This Mortal Coil. If you missed Broken Hearted City on release, correct that now! 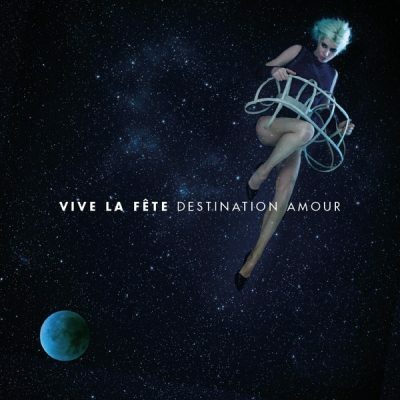 The best album in years from one of Europe’s go-to party bands, Destination Amour built on a combination of space disco and Europop influences. “Toute la nuit” buzzed with killer saws, Els Pyloo’s ethereal vocals and a pulsing rhythm section lifted straight from 1977. 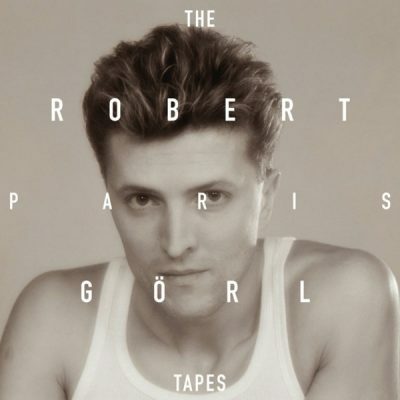 The really mad thing about Robert Görl is his ability to wrestle emotion from synthesizers. Although best known for his heavy rhythm work in DAF, an early solo single, “Mit Dir,” demonstrated that with a limited set of equipment (and a limited number of words) he could produce works of fragile and enduring beauty. The Paris Tapes were recorded while Görl was evading military service in France after one of DAF’s many break-ups. Armed only with an Ensoniq ESQ-1, he trained himself to deploy basslines instead of barbed wire. His marches took him to the UK, where he teamed up with Dee Long of Klaatu (and Rational Youth’s one-time producer) to work on the material. A visit to Germany led to a drive in a car; the car led to a tree; and the rehabilitation that followed led to the abandonment of the actual Paris tapes. They were eventually recovered, but the moment to develop them had passed. 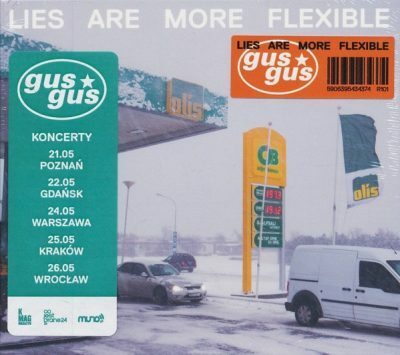 They came out for Record Store Day, then, frozen much as they were when Görl’s body was shattered on an icy Munich road. Even so, the material out-Jarred Jarre in the year of his return to Oxygene. Sweden’s original poptronica act came to London to show off their new material in October. 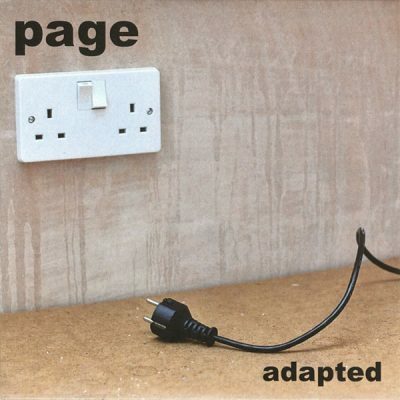 Page brought with them a very limited run of CDs featuring versions of some of the songs on their Start EP, and the first forty people through the door at their show received a copy courtesy of Cold War Night Life. 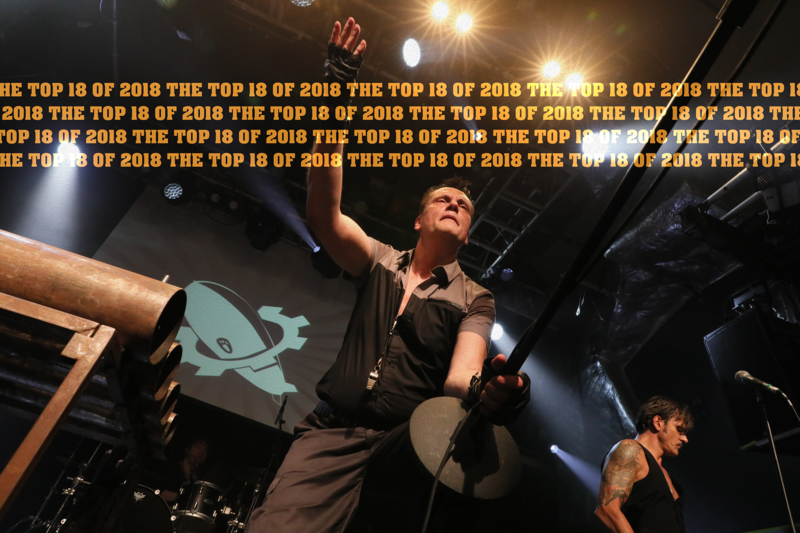 Needless to say, their appearance at the sold out show was warmly received by an international crowd, and the CDs quickly became collector’s items. 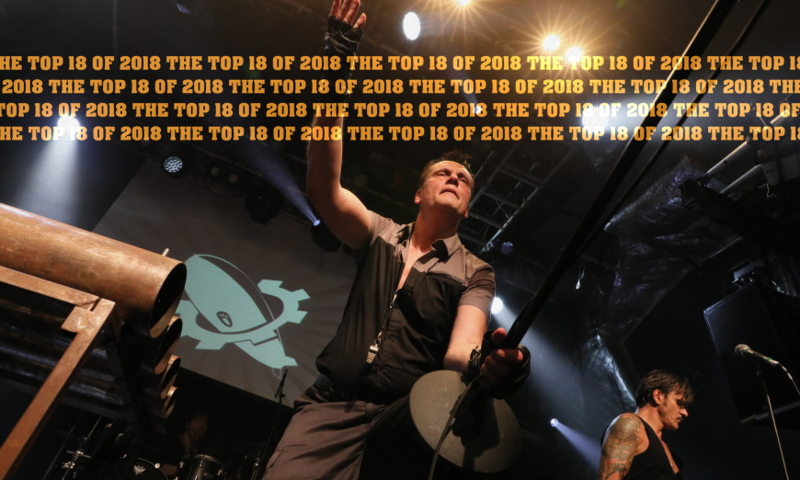 What gets Page to the pole position on this year’s list isn’t their generosity; nor is it their willingness to switch into English for their London audience – it’s their unrivaled feeling for poptronica. 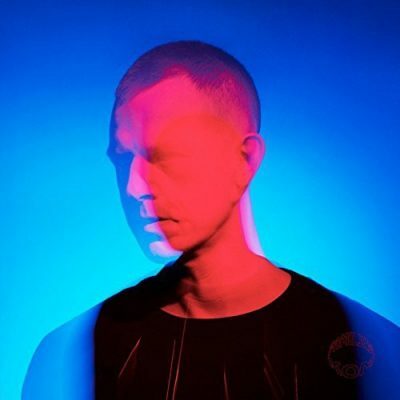 Eddie Bengtsson is called “Sweden’s Vince Clarke” for very good reasons; and, with new Moogs at his disposal, he might very well be the Nordic answer to Dramatis and Ultravox, as well. If Soft Cell could have pulled off this trick, they wouldn’t have had to retire.